Happy Valentines Day, GlamFans!! 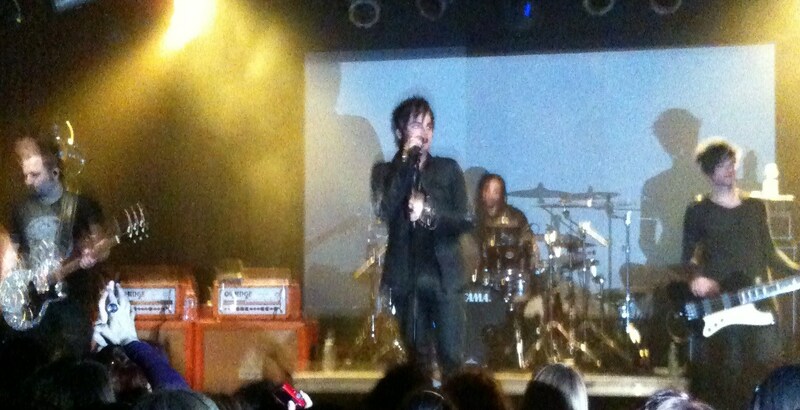 Got my newest fuel injection of Adam Lambert the other night at the “Rock My Town” concert! That man is like a drug to me! Don’t need pills, alcohol or cocaine to make me feel better about life. Just gimme a little Lambert every once in a while and I’m good to go for the next few months!! Only a couple hours of sleep since Friday, but my house and car are now clean, I look and feel better, hubby and kids are happy…life is gooood!! I want to give a big shout out to everyone who I met Friday night, and to the new readers of my blog!! I had such a great time at the concert (can you tell???) and met some really cool Adam fan(atic)s there! Alright, enough of that, now down to business! 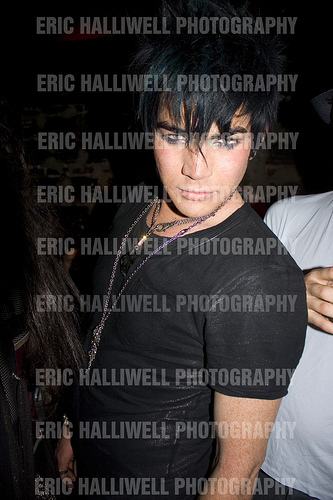 Took the above pic from an article about Adam Lambert’s night out after he left the “Rock My Town” concert. 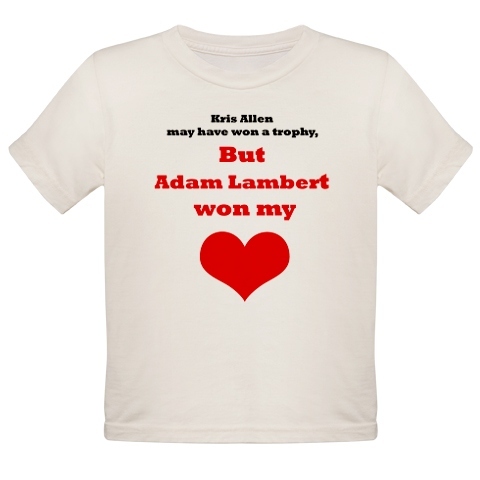 Read about it at http://gaysocialites.com/2010/02/adam_lambert_gets_rowdy_at_the_1.html. There is lots of info about the VH1 taping of Adam’s songs over at MJ’s: http://mjsbigblog.com/adam-lambert-films-acoustic-set-for-vh1-unplugged.htm. Love those tweets! And THIS little gem from Live Journal via Idol Forums: http://community.livejournal.com/teamratbert/9990.html. Thanks so much to the person who wrote it- what detail…felt like I was right there (so jealous)!!! And I finally got to watch Adam’s AOL sessions- WOW- http://music.aol.com/video/whataya-want-from-me-sessions/adam-lambert/bc:66124731001. Pure, simple, fabulous. Check them out if you haven’t already! This Valentine’s weekend will be a busy one for our boy, Adam Lambert! First, there is the “Idols, Rock My Town!” concert at the Highline Ballroom in New York City. Adam will be performing along with Allison Areheta and Kris Allen. On Saturday, Adam will be taping and acoustic concert for VH1, also in New York. Then, Q102.com is sponsoring a very private concert for some lucky fans on Monday, February 15th! Check out the link here: http://radiobase1.clearchannel.com/front/OpenContest.asp?Action=Login&SurveyID=57220&zx=451. Adam’s live performance for AOL sessions is launching tomorrow!! Here’s the link: http://music.aol.com/. More information and video at http://www.popeater.com/2010/02/11/behind-the-sessions-with-adam-lambert/. “Glee guest star rumor: it’s a rumor. Sorry guys. If I had to pick a show to guest star on I’d loooooooove to be on True Blood. Or Weeds. Those shows are amazing. Prob need some major acting classes though first. The casts of both those shows are first rate. According to some internet sources, Adam will share the stage with Susan Boyle and Simon Cowell on Oprah!! Here’s a link to Oprah’s site: www.oprah.com. So exciting!! Here is the link to AOL’s Sessions site (bookmark it!! ): http://music.aol.com/sessions/. If you do a search on Adam Lambert there, you can find some good information, etc. about Adam! And according to the Adam Official website, Adam will appear on VH1’s 15th Annual Critics Choice Awards. The show will be broadcast live on VH1 Friday, January 15 at 9 pm EST. Whew, get your DVR’s set, Glamfans! It’s going to be a busy Adamtastic couple of weeks!